BMW’s M division is legendary for its performance variants of normal BMW cars. 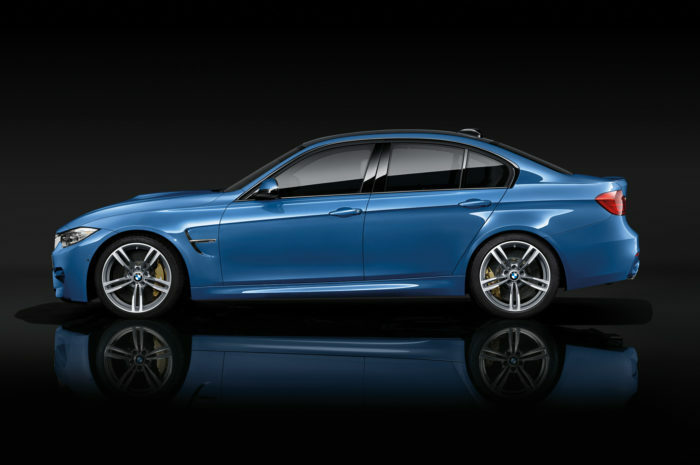 The BMW M3 is the most famous by a wide margin, but you can get an M car in many different models now. M2, M3, M4, M5, M6, X5M, and the list goes on it seems forever. BMW’s letter nomenclature ventured into another letter a few years ago with the i-line. The i8 and the i3 were the brainchild of BMW’s radical thinking and the cars were revolutionary. The i3 being BMW first mass produced electric car and the i8 harnessing the technological advances of hybrid technology. However, BMW has stated that the i8 would not be getting an M variant. That is a bummer even though the car is a mega performer already. Now what about the i3? While BMW has not specifically said that the i3 will get an M badge, they have said bringing an electric M car to market is only a matter of time. BMW has been weighing in on the idea of adding a zero-emissions M car for quite some time, and now it seems that such a vehicle will indeed happen. Speaking with AutoExpress on the sidelines of the Detroit Auto Show, the performance brand’s chief, Frank Van Meel, said that the company plans to start out with hybrids to bridge the gap between the M division’s current lineup and a fully-electric models. Instead of improving fuel efficiency, the hybrid powertrains will be optimized for performance. So we may see an M-electric in the not too distant future, but I wouldn’t bank on it happening before 2020. Could this be a BMW Tesla killer? Only time will tell.